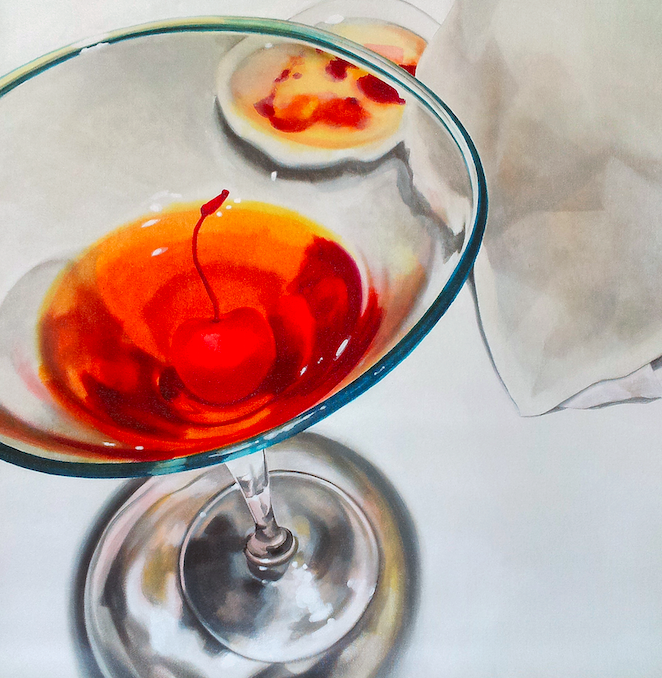 For Real, the show currently on exhibition at RO2 Art is called and features two contemporary painters from the Lone Star State, James Zamora and Sarah Atlee. 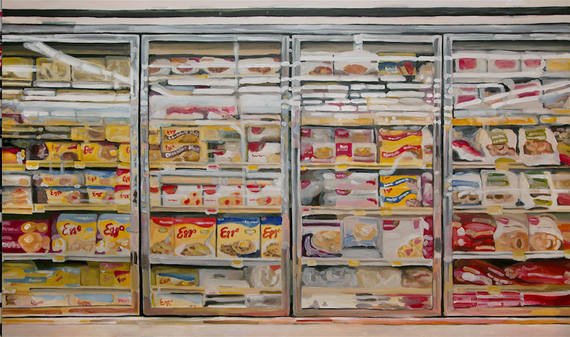 Both of them paint food and still life. Zamora's is contemplative and, at times, confounding. Atlee's is luscious and bright. 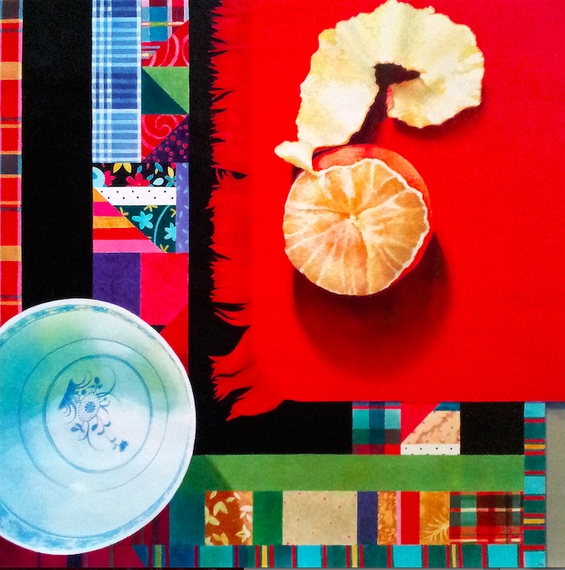 Both call into question what it is that we see when we look at food and items of commonplace. James Zamora, raised in Graham, TX, received his Bachelors of Fine Art in Painting at the University of North Texas in 2010. 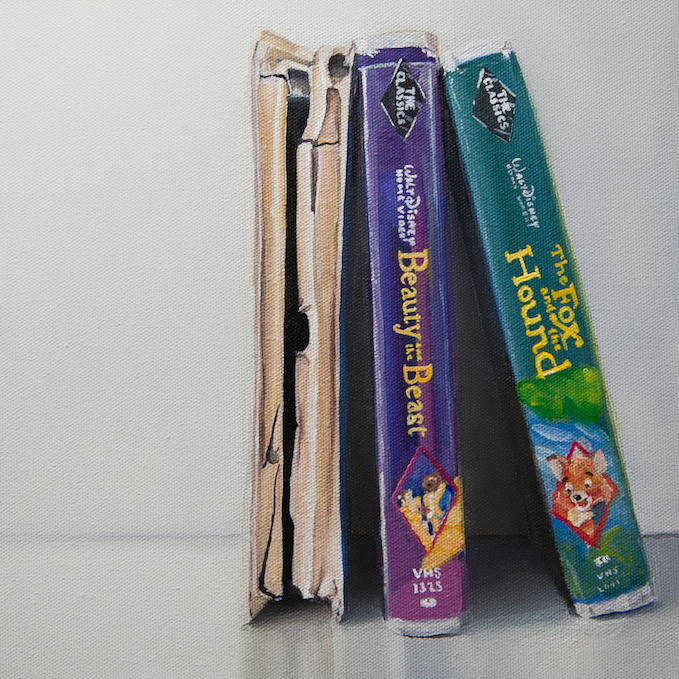 He will receive his Masters of Fine Art in painting from Texas Women's University in May of 2015. He currently teaches there. 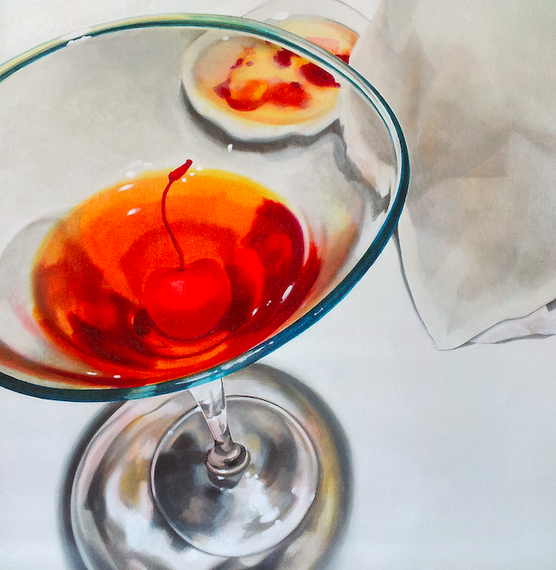 Atlee, an Oklahoma native now living in Austin, Texas, received her Bachelors of Fine Art in Painting at the University of New Mexico and her Masters of Fine Arts from the Rochester Institute of Technology. 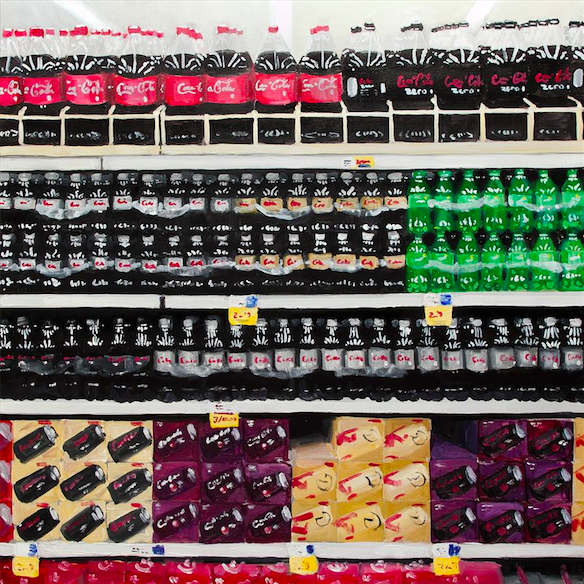 Zamora paints rows of soda, of cleaner, of produce. He also paints tiny postcard pictures with unlikely hero images - three gummy bears, the top third of a Sriracha bottle, a single lemon, a lone pear. James Zamora, Dirty Pop, Acrylic on Canvas, 24" x 24"
He paints three lone video cassette cases and a Nintendo and seems to ask the viewer, What happens when we take the every day and isolate and elevate it with white studio walls and direct lighting? What do you see? What does it mean? What does it say about us that this is what we hold -- or at least once held -- as dear? James Zamora, Something Familiar, Acrylic on Canvas, 10" x 10"
His work seems less of an indictment of consumerism and, instead, a study. His work tells the viewer not what to think, but to think. 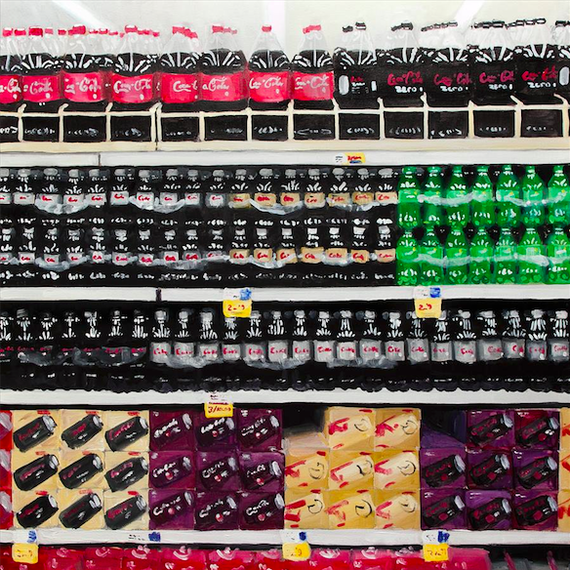 He asks us to consider what it is to live in a place where there are so many choices of soda, of cleaner, of produce. He asks us to consider what it is to live in a place where new technology replaces what was once new technology only moments before. Zamora makes this inquires and requests with the most beautiful strokes of color and the most jarring attention to detail. One's eyes are drawn and held and tasked with not just looking, but also with seeing. 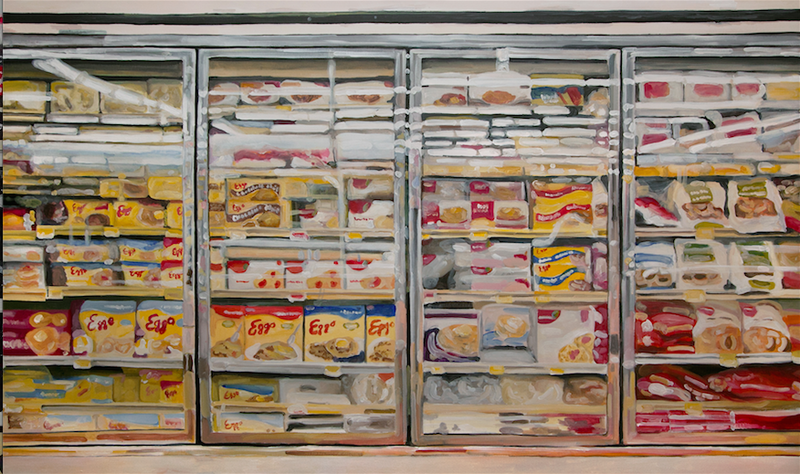 James Zamora, The Frozen Aisle, Acrylic on Canvas, 36" x 60"
Atlee paints food that seems like it's coming on to you. The avocados peer at you in one painting, and, in another, their meat is so slick and glossy, it lures your fingers to dip inside. The tomatoes suggestively roll toward you. The orange appears to peel itself. The tuna looks as if it might anthropomorphize and slink away. 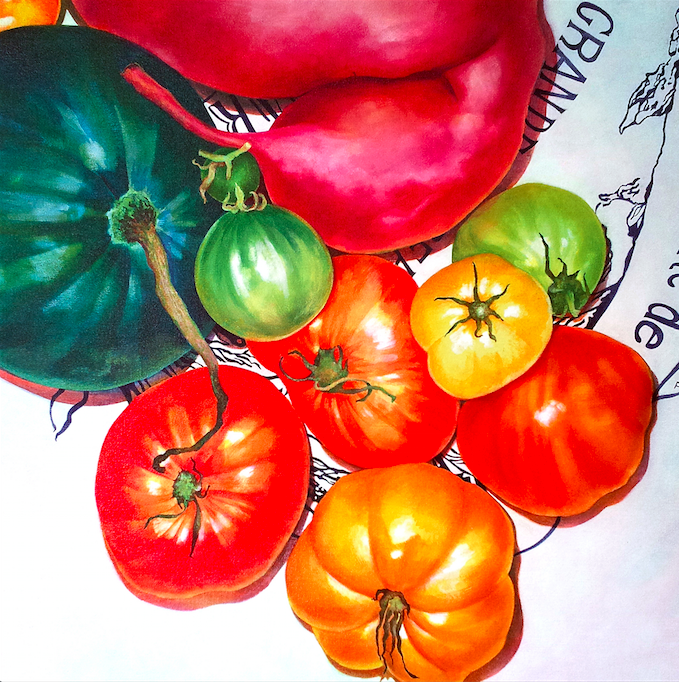 Sarah Atlee, Harvest, Acrylic on Canvas, 24" x 24"
We often talk about the foods that tempt us. 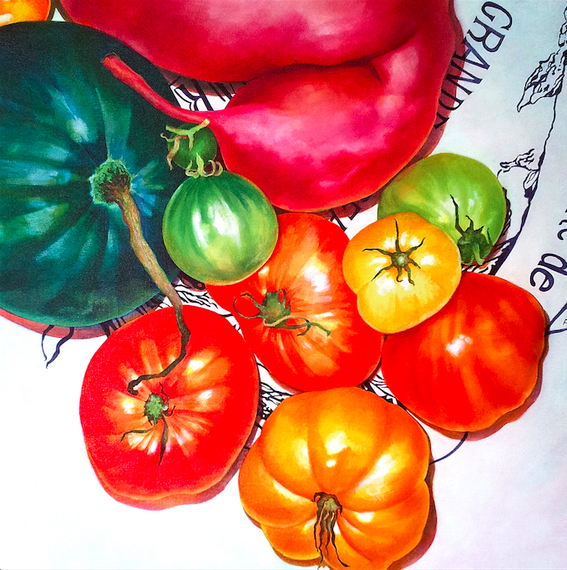 Atlee's work brings to the canvas that temptation, as if food could have a mind of its own, as if it longs to be devoured. Is this how we must look at food? Is this what will relieve us of our responsibility when it comes to how and what we eat? Sarah Atlee, Manhattan, Acrylic on Canvas, 30" x 30"
Atlee's colors are brazen. If these were nudes, which some almost seem to be, they would be aggressive and suggestive ones from which the faint of heart might look away. Atlee seems to ponder whether we see food as it is at all. At its core it is nothing more than fuel. But we live in a time of the cult of food and of eating. We crave the exotic and damn our lack of willpower. The viewer's very will is tested with these pieces, "Don't you want me, baby?" they say. But they are only food stuffs. So, in reality, food says nothing more than what we give it the power to speak. 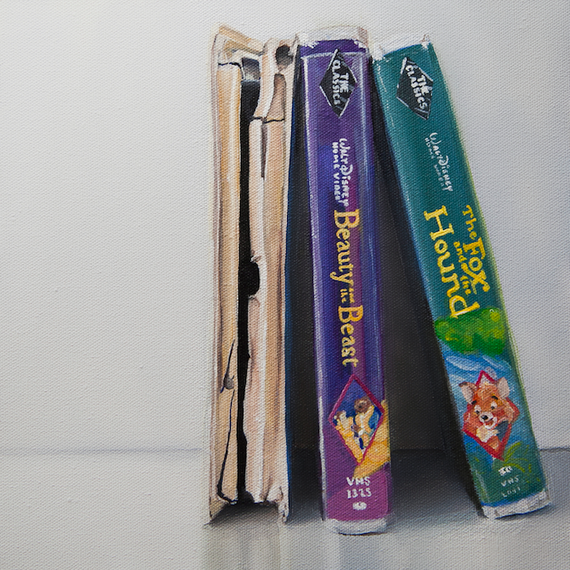 But in these paintings, it speaks volumes. 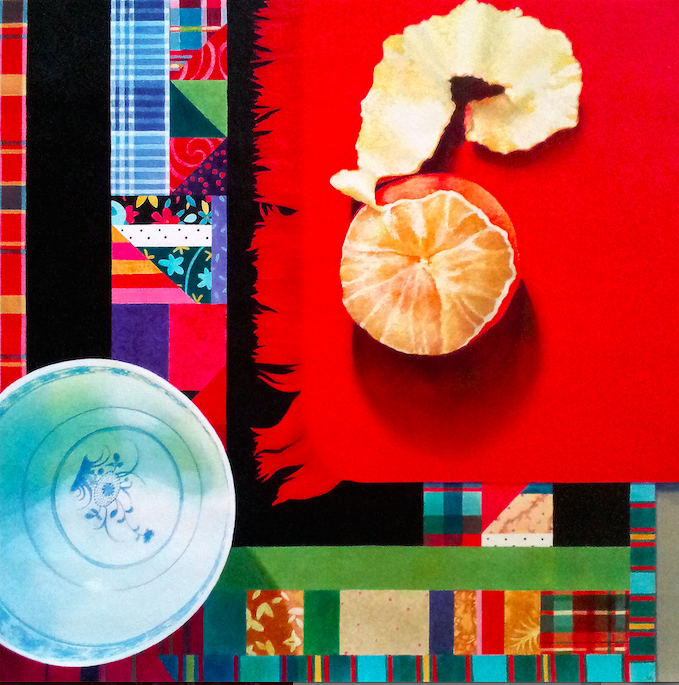 Sarah Atlee, Peel, Acrylic on Canvas, 24" x 24"
The show runs through March 8, 2015 at Ro2 Art Downtown, located at 110 N. Akard Street, in the historic Kirby Building of Downtown Dallas.